The Girl Who Didn’t Know What to Be was in school one day when Ms. Standly, her regular teacher, called in sick and so did Ms. Moore, who was Ms Standly’s assistant, and so did half a dozen other teachers because the Have a Bad Day Flu was going around that month. And so that day a very prim lady who insisted that she be called Mrs. Charity was called to school under emergency circumstance to teach the fourth grade class. The Girl Who Didn’t Know What to Be didn’t yet know that she didn’t know what to be and so she thought of herself only by the name her parents had given her – Metrissa. Metrissa was very excited with the arrival of Mrs Charity because school had reached that long part of the year when the days went so slowly that they would start again before they had finished. Any change of the routine seemed like a good idea to Metrissa, even if Mrs. Charity seemed a little severe when she walked into class. “So, class,” she said, “you probably are thinking that because I am a substitute teacher that you will not have to turn your brains on today. Oh yes, I can see it your eyes, you think that you’ll have some fun at Mrs. Charity’s expense.” Mrs. Charity looked around the room very slowly as if she dared them to disagree with her. “Admit that you were thinking that very thing, weren’t you?” she said and looked right at Metrissa. “I doubt it. But never mind, I can assure you that you’ll not be having any fun with Mrs. Charity. No one ever has fun at Mrs. Charity’s expense. We are going to start right now with today’s lesson.” Mrs Charity looked around the room again to make sure that nobody had any other ideas. “Today,” she said, “we are going to be discussing occupations. You,” she said pointing at Tommy Motley, “what are you planning to be when you grow up? “Well, I’m gonna play football,” Tommy said. Mrs Charity went down the rows of students asking what each one wanted to be. Finally, Mrs Charity reached Metrissa. Here was the problem. Metrissa had no idea what she wanted to be when she grew up. There were so many choices and she hadn’t yet decided which one was the best. When she was little she used to say that when she grew up she wanted to be a bird so she could fly and that always made the grown-ups laugh but one time her Dad said, “be careful what you wish for, you just might get it” and she thought that was good advice so she decided to take her time before deciding what to wish to be. She hadn’t expected that her time would run so short and that Mrs. Charity would be standing in front of her with her stern face and all the other kids would be looking at her, expecting her to announce what she was going to be when she grew up. “I said I didn’t know.” She said it much more loudly. “No, Mrs Charity. I do not want to be nothing.” Metrissa looked at her shoes. In the back of class, Tommy Tudereaux yelled “a substitute teacher” and Mrs. Charity’s face turned bright red. She snapped back to Metrissa. Feeling very small, Metrissa went to the chair in the corner. It was a very small chair and not very comfortable. And so Metrissa sat. And thought. And sat. And as she thought she turned into the wind and blew out the open school window into the tumbling fall day outside. She whooshed and spun across the schoolyard out of control in the vast pandemonium that she had discovered. She blew over walls. She roared like a train and the roars she roared spread out themselves all about her and she felt like a spirit moving over the earth. I will be the wind she said to herself. I am the wind. I am everywhere. I am nowhere at once. I am moving always. I am the sky when the sky starts moving. And then she was back in her seat at school staring into the wall. Behind her she could hear Mrs. Charity talking. The Girl Who Didn’t Know Who To Be became a bursting brilliant ball of light and she was suddenly travelling away from school and town and earth into and through the blue brightness of a fall day and then suddenly through the sky and into the nimble black regions behind the sky where the stars were. She shot forward so fast that she split the night universe, planets whizzing past to either side and the hoary brilliantine stars ahead quickly gone like signs passed by a rushing train. The speed was so fast that all sounds died and she could not feel her toes and then the black regions opened into a blinding homecoming where all light finally comes home to rest. And she was back in her seat at school. Metrissa poured golden liquid amber from the room running in syrupy flowing waves across the school courtyard and into the brilliant undulating light that was waiting there. The light and the amber syrup mixed together with layers of blonde on honey blonde all glowing from the center as if there was a light in the center of the amber honey flowing Metrissa girl. Metrissa slowly looked over her shoulder. Mrs. Charity was standing at the front of the room and was holding a globe in her hands as if she was big enough to hold the world. Metrissa turned slowly back to the wall. She stood up. The children were all looking at her. She did not say a thing. All her words were in front of her. ‟Yoooouuuccchhh!!! !” yelled Teddy Cumberbun from the back of the Classroom. They all turned to look. Teddy was standing on his desk. A small green plastic item like a little pencil sharpener was stuck on his finger. ‟What is that?” Mrs Charity demanded. ‟Its a …, its a …..” Teddy said but he tailed off. All around his classmates tried to help. ‟It is a mortan hand bangle,” said Metrissa. Everyone stopped and looked at her. They knew just what she meant. ‟You heard the hopster. Hankopeebee.” Metrissa said. Mrs Charity smacked the desk with the book in her hand so hard that the thunderboom of the big sky class headroom wardeled around in the high sound snippet. ‟I will not have this jilly bizmat here! !” she shouted in tundra glee. The classroom exploded in laughter. ‟No really tob chocks!! !” Mrs Charity screamed. All the children laughed louder. Mrs Charity looked hard in all directions until the noise emptied out of the room. Metrissa was well beyond the puzzle. The names were bigger than their meaning. She turned and hopped on a hovering hozzle. And over she sped the classroom and the missing connections and now there was no Charity and none the need, for there was no gap in the admiration she had for this spinning amber planet bearing all to who they were going to be. And Metrissa was going, too. 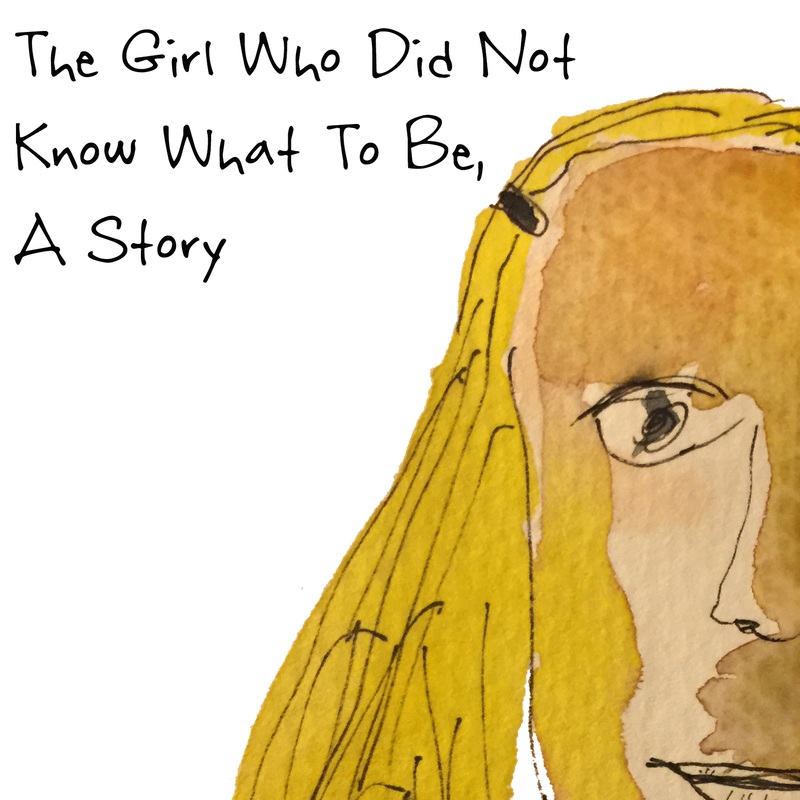 The Girl Who Did Not Know Who To Be was originally published in Fiction Vortex. Listen to the audio version here.